Innowater is an electrochlorination company specialising in the development and manufacture of water treatment systems. In other words, we use Salt Water Chlorination as a pioneering and innovative method in the sector for the treatment of all manner of household or industrial water. The wide range of services offered by Innowater includes water development for the food industry, waste water processing and swimming pool maintenance. Our company's track record dates back to 2010, based on the research and development of optimal products for Salt Water Chlorination in accordance with quality, efficiency and innovation standards. The service offered by Innowater does not end when the product is sold. Our aim is to establish a bond of trust and communication with our customers through comprehensive aftersales support. We believe that this should be a fundamental cornerstone of every service, and so show our genuine and personal commitment to each customer. At Innowater we are aware that every customer is unique, and so our services are tailored to each of them. 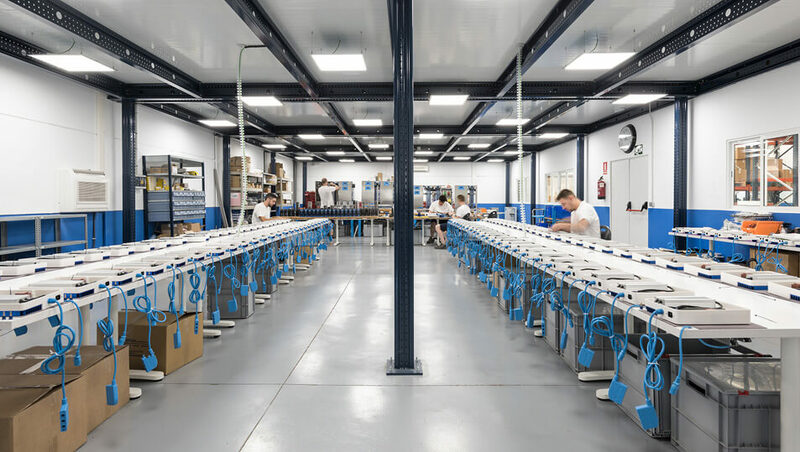 Customisation of the product is an added value provided by our company, alongside guidance and advice every step of the way to obtain a result that fulfils both parties' needs. 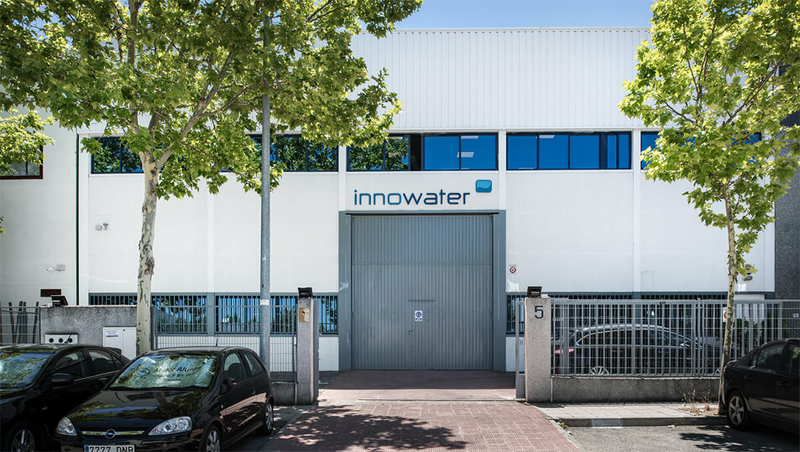 The products distributed by Innowater are manufactured entirely in Spain, from European materials of the highest quality. They all maintain the safety and quality guarantees vouched for by the relevant safety tests. Our service is likewise consistent with environmental protection, since Salt Water Chlorination does not involve the discharge of any chemicals that are harmful to biodiversity, nor does it give off atmospheric CO2 emissions. Innowater is therefore actively committed to preserving the environment through real and effective initiatives. 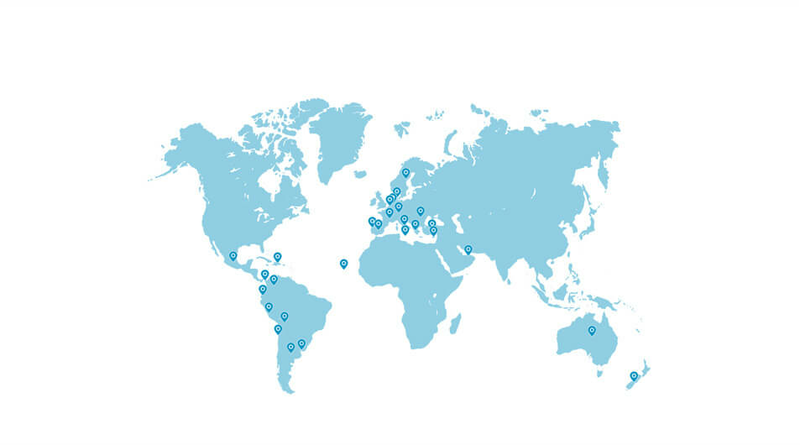 This is how the values of quality, efficiency and innovation that Innowater pursues through its hard work and research are progressively and increasingly spreading to every corner of the globe, offering a customised and high-quality water treatment service. - Spain, Portugal, Italy, France, Netherlands, Denmark, Sweden, Belgium, Germany, United Kingdom, Turkey, Greece, Croatia, Cyprus, Malta, Bulgaria, Romania, Lithuania, Slovenia, Poland, Arab Emirates, Iran, Australia, New Zealand, Mexico, Dominican Republic, Panama, Chile, Colombia, Peru, Ecuador, Argentina, Uruguay, Bolivia, Romania, Cape Verde and Morocco.